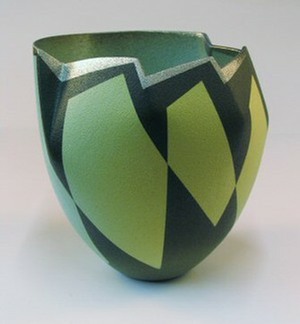 My ceramics have received awards and are in public collections and museums in Britain, U.S.A, Europe and the Far East. Initially I made functional ware between 1972 - 1977. This was a time when I studied the techniques of other artists locally in Devon. In 1979 I was offered an exhibition at Exeter University and made the first exhibition based on visualisations of the Tree of Life - themes that I still follow. Between 1979 - 1986 I exhibited widely in the UK. This led to exhibitions in Los Angeles, San Francisco and New Mexico. From 1990 - 2001 most of my work went to Europe, especially Germany. It also went to the Middle East, Japan, Korea, Taiwan and New Zealand. At the same time I developed themed installations and designed functional ware.